EK – THE POWER OF ONE isn’t new-age cinema by any standards, but it holds your interest at several points, especially the penultimate 20 minutes. It’s strictly for those in a mood to catch a mass entertainer.On the whole, EK – THE POWER OF ONE is age-old masala with new packaging. It’s more for the Hindi belt than the metros. Business at single screens should be better, while multiplexes might be weak. Ek is a full-on masala film, which may have become a hit in the 1970s. However, it’s way too outdated in today’s times of realistic movies.Even after so many years of acting, Bobby Deol looks wooden.The audience still loves Nana Patekar , and he was welcomed on screen with whistles. Patekar is supposed to provide comic relief in the film, but really, just disgusts with his performance, and double-meanings. If the plot sounds shaky, wait, its execution (no pun intended) plunges it several painful notches lower. In fact, every single aspect of this utterly inane film is a disaster. It’s difficult to decide what’s worse: Bobby Deol’s bizarre hairstyle or his acting (the former wins by a whisker) . Nana Patekar as the maverick cop who hunts Nandu down does his usual number but even his style cannot carry off the wannabe dialogue (which goes from “darrling” and “swittie” to a reference to Hamlet’s soliloquy). Chunkey Pandey surfaces in an unbearably grating, hammy act. And some completely crass jokes are the last straw; in fact, the film ends with one. Truly a fitting finale. If there is one reason why Ek-The Power of One is not a supreme disaster – it’s Nana Patekar. He plays a perverted CBI inspector who sleeps with every woman he bumps into as a part of his ‘investigation’. 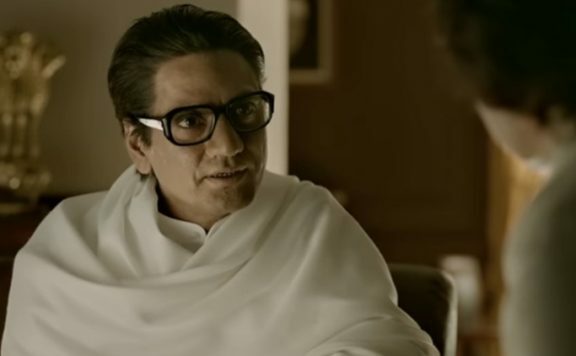 His cheesy one-liners and trademark mannerisms come as a lifeline for the hapless viewer.Bobby should consult cousin Abhay before signing future projects while Nana Patekar also needs to stop wasting his potential. Cliches, stereotypes and a predictable plot, make this story ‘of power’ one colossal bore. Just forget about it!